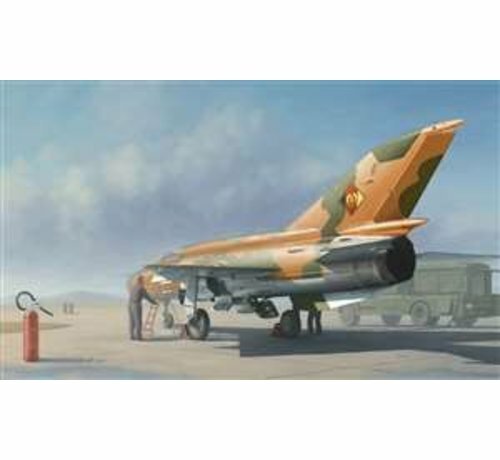 This is a Mikoyan-Gurevich MiG-21 is a supersonic jet fighter aircraft, designed by the Mikoyan-Gurevich Design Bureau in the Soviet Union. It was popularly nicknamed 'Balalaika' from the aircraft's planform-view resemblance to the Russian stringed musical instrument or olowek (pencil) by Polish pilots due to the shape of its fuselage. 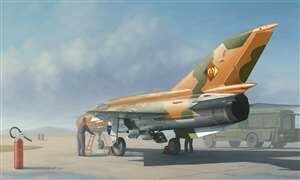 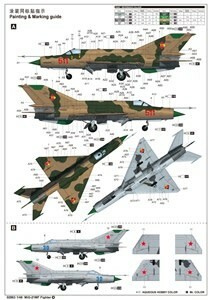 MiG-21MF was first constructed in Moscow and then Gorky. 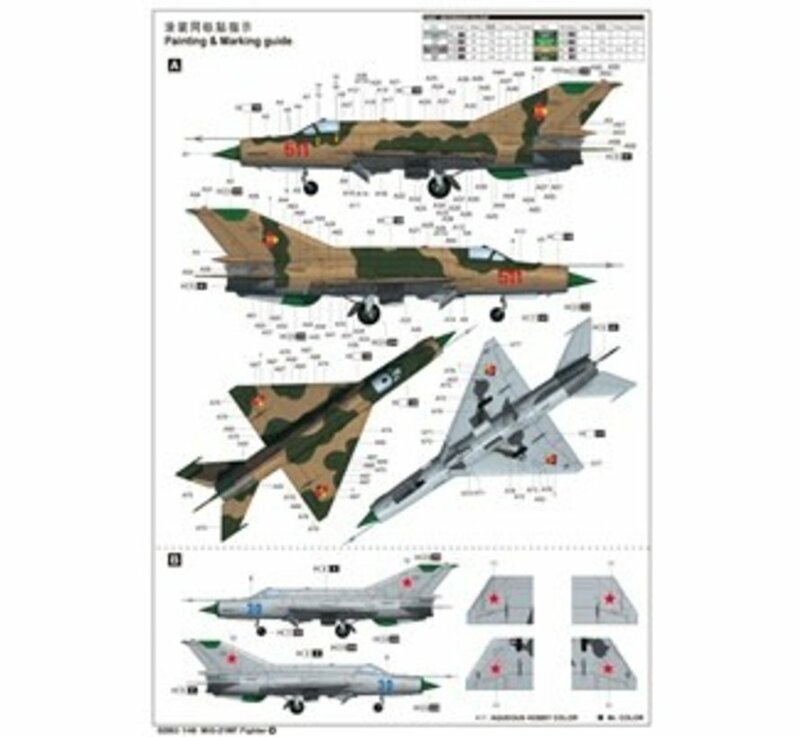 Kit has engraved panel lines, fully equipped cockpit and ejection seats, full engine with turbine faces, well represented wheel wells and undercarriage, vinyl tires, inlet cone, optional segmented canopy, optional position speed brake, boarding ladder and photo etch parts. Also includes ample external stores (Missiles, pylons, drop tanks). 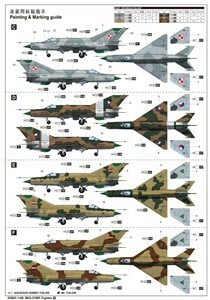 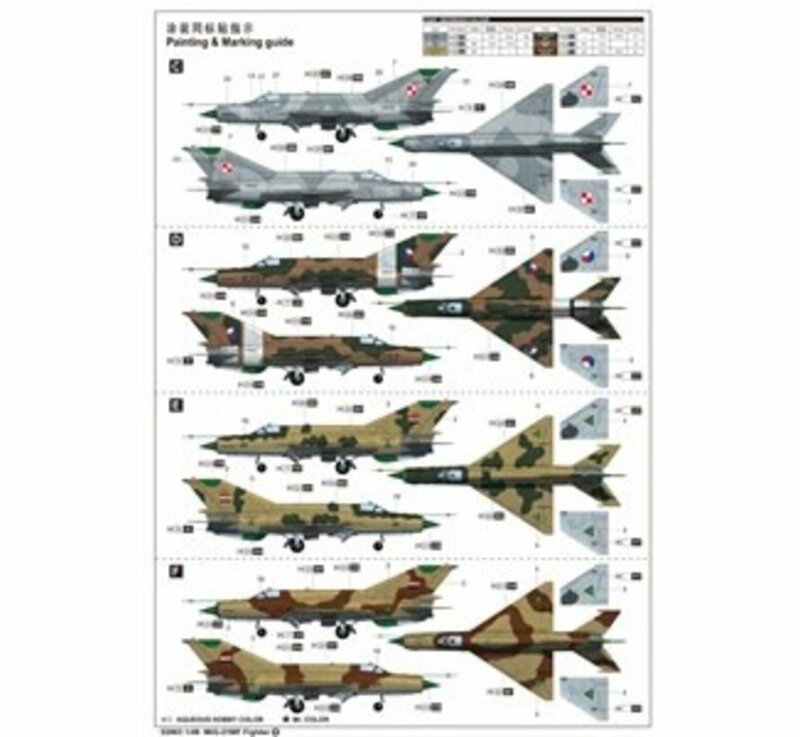 Decals and painting guide for (6) aircraft - includes weapons markings, stencil data, instrument panel and consoles.